THE B-MOVIE NEWS VAULT: STOCK YOUR VAULT: New DVDs & Blu-rays for 11/27/2018! STOCK YOUR VAULT: New DVDs & Blu-rays for 11/27/2018! Greetings Vault Dwellers, and welcome to THE final Stock Your Vault post of November 2018! Thankfully we have a rather light slate of new DVDs & Blu-rays this week, which should help you save a little dough for the Christmas season! Blue Underground just released their new 3-Disc Limited Edition Blu-ray of Lucio Fulci's ZOMBIE, Code Red brings ALMOST HUMAN to Blu-ray disc, Shout! Factory re-releases Volume 8 of their Mystery Science Theater 3000 boxed sets, and the Warner Archive Collection finally debuts their delayed Blu-ray release of BREWSTER MCCLOUD! In Region B news, Studiocanal just released newly restored Blu-ray editions of John Carpenter's ESCAPE FROM NEW YORK and PRINCE OF DARKNESS, and 88 Films dropped their new Blus for STUDENT BODIES and their BEST OF 80S SCREAM QUEENS set, which contains NIGHTMARE SISTERS, MURDER WEAPON, and DEADLY EMBRACE! But the real gems this week come from Scream Factory who have just released a double feature Blu-ray of MUNCHIES & MUNCHIE, and THE CRITTERS COLLECTION! 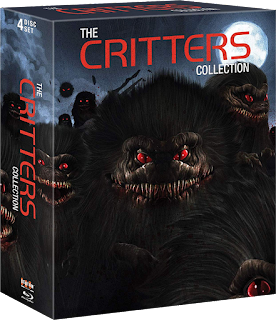 The latter features all four CRITTERS films and boasts new 2K transfers for the first two movies, and new audio commentaries and making-of featurettes for all four films! 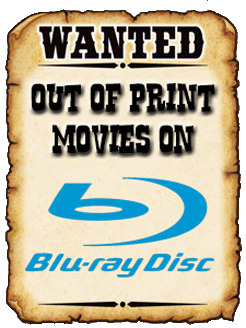 There's also a bunch of direct-to-DVD fare this week, as well as a slew of anime titles, so be sure to scroll down to scope out the full list of new DVDs & Blu-rays!